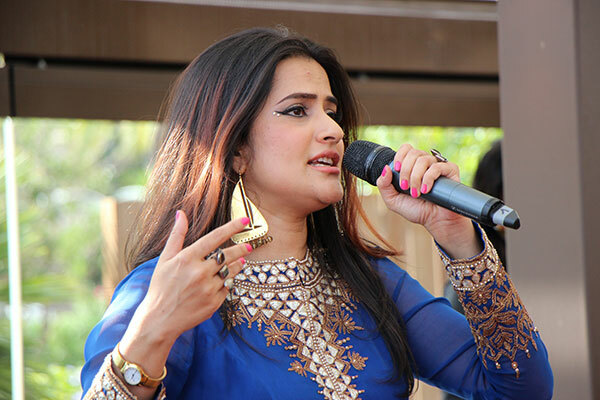 Bhubaneswar: Mumbai based famous singer and music composer Sona Mohapatra who had last year found herself in the midst of a controversy for rendering her voice in the remake remake of popular Sambalpuri song ‘Rangabati’ for Coke Studio has questioned the rendition of the same song by Bollywood singer Shankar Mahadevan at the inaugural ceremony of 22nd Asian Athletics Championships (AAC) on Jully 5. Through the microblogging site, Twitter, Sona raised her voice over live performance of the folk song ‘Rangabati’ on the mesmerizing evening of inaugural ceremony of the mega sports event at Kalinga Stadium. Sona has questioned whether the original Jodi of Jitendra Haripal and Krishna Patel should have performed on that evening or not instead of Bollywood playback singer and music director Shankar Mahadevan. “Did it not occur to you that Jitendra Haripal could have been been asked to perform at BBSR? Why did your Sambalpur or Odia pride vanish? Hypocrites much?” she tweeted.